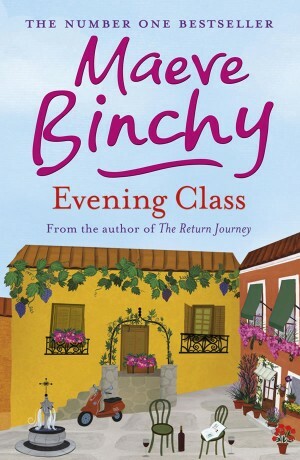 Maeve Binchy’s cousin Kate, who is the reader on most of her audiobooks, explains why Evening Class is her favourite. 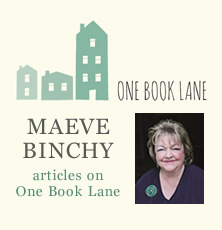 I’ve loved reading and recording Maeve’s books over the last thirty five years. They’ve all made me laugh and cry and still do, and I’m picking out Evening Class because life in Dublin during the early nineties is nailed down there. 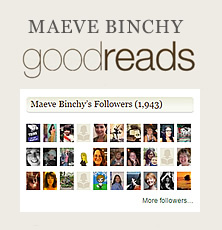 The reader is allowed into the private lives of a huge cast of characters (Maeve was like a Charles Dickens of Dublin) who keep surprising you just as people do in daily life. There are wonderful strong women: Fran the thirty-two-year-old single working mother who risks losing the man she loves in order to support her daughter; Nora, the fifty-year-old emigrant returning to her native city broke and homeless who survives and becomes a catalyst for a whole crowd of young people to change their lives; and timid, anxious-to-please Fiona in her big spectacles, bravely trying to be confident and decisive. There are great young men too: “new” men who actually like their girlfriends to be more assured, more assertive than their mothers dared to be. Bill Burke, the sensible, diplomatic bank clerk; the wonderfully outspoken Tony O’Brien who seizes responsibility and woos Grania Dunne in a most original way. Lou – aka Luigi – struggling between the underworld and his own good nature. Lou recognised the voice. “Lou,” he said. Lou looked him straight in the eye. “Not from a bar of soap,” he said. “Good lad, you’ll be hearing from us,” the man said. And he does but you’ll have to read it for yourself. Nearly everyone in the book speaks with alarming frankness, characteristic of Dubliners. “Your Little Miss Retail Therapy” is Grania’s description of Bill’s girlfriend; “Your geriatric” he calls her thirty-five-ish beloved. But however scathing the friends and neighbours are to each other they band together in a practical way for mutual benefits – which in this book are either to enjoy themselves or further a relationship; or maybe to conceal contraband, or just to learn enough Italian not to look foolish in Italy. 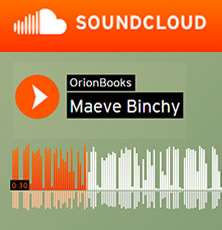 Being Maeve, she throws in free instructions every now and then on how to lose any inhibition you may feel talking aloud in a foreign language for the first time. “IN BOCCA AL LUPO!” the class roared in unison. Roaring aloud together as many times as you can is key. And finally I have to say I think this is one of Maeve’s funniest books. The scene where Bill climbs in to rescue Lizzie’s mother who is locked into a flat is hilarious and a superb demonstration of tact and quick thinking as well as agility. Maeve and I are cousins. Our fathers William and Michael were both from Charleville in North County Cork (about twenty miles from Limerick City). They came to Dublin to practise as barristers and Maeve and I were born in Dublin around the same time and grew up together in Dublin, for school; and in the country for WW2 and the holidays. Our large extended family all agreed that Maeve was great company and when she became famous as a storyteller we were all delighted but not at all surprised.